YouTube is one of the biggest website that mostly peoples are visit to watch their desired videos and when they find any interesting or important video then he/she will be easily download it by using any simple method but what we do when we watch any long movie or presentation and want to download its specific part, can you download whole movie or presentation for just one part? No, because here we will going to share a very simple and easy method that help you to download your desired videos part in just few seconds. There is a lot of sites that provide you opportunity to convert youtube videos to any other format but you know after converting you can also download these videos any specific part. if you don’t have any idea then follow our method and learn how you can convert and download any specific part of youtube videos. Also Read: How to Identify Real and Fake Facebook Fan pages? 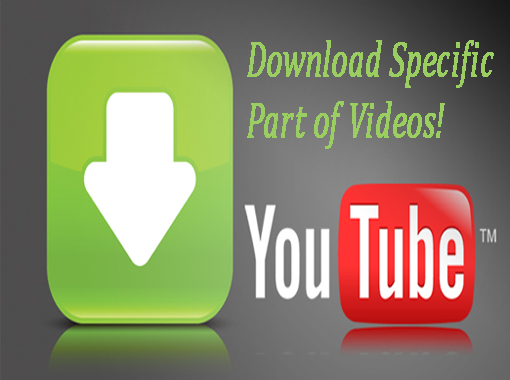 Download only Videos Part from YouTube and Daily motion. You can also download your desired videos part from some other sites like Google Videos, Daily Motion, Vimeo, MySpace, Metacafe, My Video, SoundCloud and Veoh. Actually in this method you can use one website (clip converter) that will provide you many advanced features instead of any other site even you can set up your desired video quality, audio volume, video aspect ratio, Video and audio quality and many more. Below we will discus each part with fully detail, just go for below steps and learn a method to download a specific part of videos. 2. Now you can see one URL box, simply paste your desired video URL and click on continue. 3. After it some drop down options will appear and Now here you can select your video quality and video format. We recommend to select AVI format. 4. When you click on any format button then “Conversion options” will appear. 5. Now this is your main point, simply uncheck two box “Start of Video” and “End of Video” and write your desired time, for example: Here I am going to download video part from00:10:00 to 00:20:00. You can also see below screenshot. 6. Now after it simply click on “Start”. 7. It will take few minutes for converting videos to your desired format and after it downloading will be start. We hope this method will help you to download specific part of your desired videos however if you face any problem or you have any question then feel free to ask in comment section and share this post with your friends and also don’t forget to subscribe us because you got daily some spicy tutorials straight to your inbox.